Working as a real estate agent enables you to build your own schedule and develop a strong sense of work ethic while placing no limitations on your potential income. Real estate agents in Washington must go through a process similar to that of real estate agents in other states. In Washington, real estate professionals begin as brokers and can move up the career ladder over time. If you are interested in working in the real estate industry, this guide will help you pursue your career beginnings in Washington. In order to qualify for a broker’s license, you must first be 18 years old and hold a high school diploma or an equivalent. This education will help lay the foundation for other necessary coursework, and it also demonstrates that you can follow through with tasks. You must also submit your fingerprints for a state and national background check. You can schedule an appointment online through the state’s preferred electronic fingerprinting vendor. Additionally, you are responsible for paying the associated fees before you come in for the fingerprinting service. These fees are not refundable in the event that you do not receive your license to work as a broker. If you are already a registered real estate professional in another state, you also need to submit your license history from the other agency. If you have maintained an active real estate license, you are only required to take part of the licensing exam as well. In some cases, the educational requirements may also be waived. When you arrive at your appointment, you need to have your state-issued license or identification on hand. The rest of the appointment itself should take no more than 10 minutes. If you have a criminal conviction in your background, the real estate licensing board will investigate your record to examine the type of crime and level of conviction involved. A conviction in your background does not indicate that you cannot work as a real estate broker. It is a matter of the licensing board examining the potential relationship between the conviction and your professional abilities. First, you must take a 60-hour course called Real Estate Fundamentals. This course is designed to help you understand the basics of working in real estate. You will learn the essential information necessary to develop skills as a real estate agent. You will also learn about real estate law and state policies. You will learn about the information you need to facilitate real estate transactions with ease and fluidity. A 30-hour course in Real Estate Practices follows. This course will teach you how to apply the information learned in the fundamentals course to your real estate practice. For example, this course will instruct you on how to properly fill out all the necessary information when it is time to complete paperwork. This is the information you will need to focus your efforts on in order to improve your work as a real estate agent. Before you complete your real estate education, you must ensure that you register with the testing vendor. Applied Measurements Professionals, Inc. is in charge of the testing process, and you can easily register online. The school you choose to attend will submit evidence that you completed your coursework electronically. It is important that you do this right away to prevent delays in being able to take your exam. Within two years of completing your real estate education, you must pass the examination. You can schedule your exam online through AMP’s website, and you can also pay your testing fees as well. The exam will cover topics you learned in your real estate courses, and there are both state and national portions you must pass. Both portions are important to your real estate practice in Washington. When you arrive at the testing center, ensure that you bring two current forms of identification. These must include both your name and your signature, and one form of ID needs to have a photo. A driver’s license is an example of one great form of ID to bring, but you will also need one more. Identification cannot be expired in order to pass through. If you do not pass the examination, you can retake the portion you failed within six months. If you pass either the state or national part of the exam, you do not need to take it again. This will allow you to spend time focusing your studies on one part of the test that you may tend to have trouble on. You must complete this form shortly after passing the broker’s exam. Your examination results are valid for one year following your examination. The results will be sent to the real estate commission so that your skills can be quickly assessed. Ensure that you include a check payable to the Real Estate Licensing Department of Licensing, which is located in Seattle. It is essential that you complete your real estate license application as accurately as possible. Any incomplete or inaccurate information could mean that you do not receive your broker license as quickly as you otherwise would be able to. Washington is a prime location for buying and selling real estate, especially with large cities such as Seattle on the map. Your broker’s license expires two years after it has been issued to you. In the meantime, you must pursue continuing education to maintain your license. This is also helpful in allowing you to stay up to date on current real estate trends and new information. Continuing education can help you create a specialization in a field that interests you. For instance, you might want to focus on issues like housing discrimination and ethics. You may find that you are excellent in studying green housing components and reducing the carbon footprint of building, buying, and selling homes. Ultimately, continuing education may be the key to allowing you to pursue your real estate dreams. Contact us for more information about courses that will help you focus your career goals. Recently, an Illinois homeowner filed a lawsuit against Zillow, specifically the website’s tool called “Zestimate.” Zillow has been useful in the past with the help of tax data and other records to determine the value of a home. Barbara Andersen is the homeowner filing suit. She also happens to be a real estate lawyer. If you have been curious about this legal case, this guide will fill you in. Zillow allows anybody to type in an address and see the value of a home. Even if the home is not currently on the market, photos and prices may be available on the website. It also allows potential buyers to make assessments, accurate or not, about the neighborhood as a whole. Ultimately, people will often use Zillow and its resources to make decisions about major purchases. Using Zillow’s Zestimate tool, users are generally able to see a home’s value. The price estimate feature is accused of lowballing homeowners, especially because of its limitations. 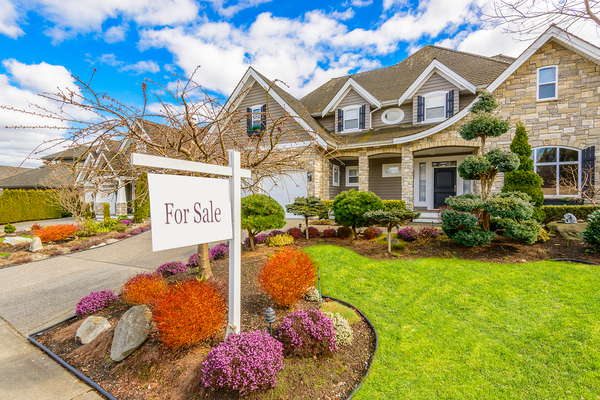 Many homeowners feel that their properties are fairly showcased on the website’s tool, which could lead to problems later on when they opt to sell. What Is the Zestimate Lawsuit? In this lawsuit, Andersen is claiming that Zestimate is intentionally marketed as a tool for buyers with estimates based on market value. According to Andersen, this means that Zestimate is legally an unlicensed appraisal tool. This could change the way Zillow is allowed to operate on the web. Additionally, Andersen claims that Zillow’s online real estate resource has made it more difficult for her to sell her home. While Andersen values her home in the $600,000 range, Zestimate’s tool places the home in the $500,000 range. Andersen claims that the data simply is not accurate for the home’s location, and it could lead to potential buyers believing that she is asking for more than the house is worth. In spite of this, Andersen claims that houses in her neighborhood are actually selling for much more than her asking price. Could lovely homes be devalued simply because of the way they are listed online? That depends on a lot of factors. While Zillow includes a disclaimer on the website that estimates should not replace appraisals, it is not clear if this will hold up in court. In examining the law, lawyers for Zillow claim that auto-generated estimates are an exception. How the court might actually rule is a big question. Additionally, homeowners at any time are able to claim a house on Zillow. Homeowners can then update the home’s information on the database, which leads Zillow spokespeople to claim that the lawsuit lacks merit. Ultimately, Andersen is not asking for money. Instead, she is merely asking Zillow to either remove or fix the listing. She would also like Zillow to have to ask for permission before listing certain information about the home. Do you want to learn more about valuing houses accurately? Doing so can help you prevent a situation like this. Contact us for more information about continuing education that will help you learn more about home evaluation. Every real estate agent has one goal in mind: to sell that house. There is certainly an ebb and flow to the real estate world. While the big debate about whether or not open houses are still relevant persists, there is evidence to suggest that buyers want to check out a house personally before committing. The road to selling a home can be stressful, and an open house can ease some of this. These tips will help you host an open house in a manner that is as pain-free as possible. This is true especially in the real estate world. Introduce yourself with your name as people enter the open house, and follow up after potential buyers complete a walk-through tour of the home. This makes you more approachable and gives you an excuse to bring up additional features that may please your captive audience. Additionally, it is beneficial that you do not have the current owners lingering about the home. The hard sale may involve building rapport with buyers. Read up on neighborhood tidbits, including information about local tidbits. Research transit options, nearby educational institutions, and crime statistics so that you can best answer common questions. If you do not know the answer to a question, be willing to look up an answer and get back to the individual as quickly as possible. Your open house should be all over marketing websites that will help you reach a wider audience. Real estate apps open up your home to a new set of web users who are ready to get serious about buying. In fact, apps are taking over for the brochures that were once passed out at open houses. Of course, many buyers will still rely on information provided on paper, so it is a good idea to keep some fliers and brochures on hand. You don’t want to create negative emotions about a house based on items that might make a buyer feel uncomfortable. For instance, you might want to advise the seller to take down any political references that may be present throughout the home. In many cases, real estate agents also find it helpful to eliminate some of a home’s personal touches, including family photos. They want the buyer to imagine this home as a blank canvas. Is that ‘For Sale’ sign lingering a bit too long? 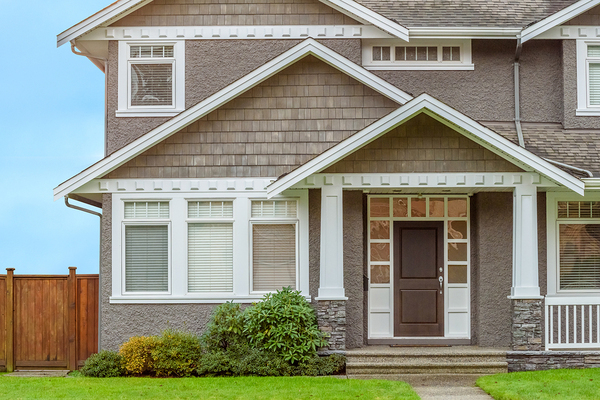 Take action at your next open house to land the sale. Weekend open houses are typically held on the weekends, generally in the afternoons. Many real estate agents actually have better luck with early evening open houses. 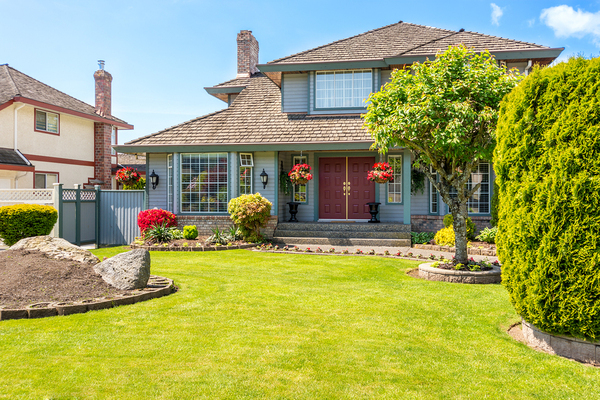 This allows you to open up during a time when there is less competition, and you also snag buyers who are nearing the end of their day and might not be in a rush to head out to other open houses in the neighborhood. You may find that appealing to all senses reaches out to buyers. Consider everything from the way the house smells to the texture of the carpet. Play music that is soothing and turn off potential noise nuisances, including bathroom fans. Any real estate agent needs to study up to stay on top of their game. This is where continuing education comes in. Our courses are geared toward helping you meet your license renewal requirements as well as learning more about your industry. Contact us for more information about our real estate courses. 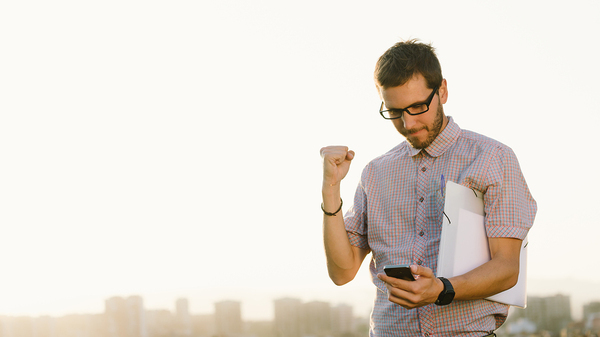 Have you ever noticed the one thing that all successful real estate agents have in common? It’s not that they are all the best salespeople or that they are the most knowledgeable about real estate laws. It’s not about closing the deal as quickly as possible. It’s that they are true professionals. As a real estate agent, how can you become the most professional agent possible? This guide will help you raise the bar on your real estate professionalism. Professional real estate agents should be well-rounded in terms of the knowledge they present, offering expertise that the average person would not have access to. At the same time, it is essential to communicate these new ideas clearly without using easily misunderstood jargon. Professionals make it easy to understand them from beginning to end. Of course, it is also sometimes about when you communicate, not how. If you are going to be late or must cancel an appointment, getting in touch with clients is essential. This courtesy goes a long way when you are dealing with people trying to buy or sell a home. The more honest you are, the better. Trust is an essential component of working as any type of real estate agent, and it leads to so much more than customer satisfaction. A code of conduct ensures that clients trust you. For instance, you never want to allow access to property unaccompanied. You also want to treat all pets living in a home with care, never allowing them to escape. Real estate agents announce themselves and do not appear unexpectedly. This is all part of showing courtesy to buyers and sellers. Essentially, a real estate agent’s code of conduct boils down to one thing: treat others the way you would want to be treated. It takes just a few seconds for a real estate agent to leave a first impression on a client. Your first impression comes from your communication skills and appearance. Showing up dressed in professional attire could be the key to reaching new heights in your profession. It could be the one thing that lands the deal. Success accompanies professionalism every step of the way for a real estate agent. Real estate agents also strive towards professionalism in the office too. They don’t make promises to their bosses that they can’t keep, for example. They follow up with license renewal on time. The truth is that professionalism follows from the field back into the office. A good real estate agent understands this. Part of this office professionalism means staying on top of your continuing education requirements. You don’t want to get left behind in the dust while other agents renew their licenses with ease. PDH Real Estate can help you pursue your real estate education simply. Contact us for more information about pursuing real estate education. Is a housing crunch on the horizon? Are we in for a slump as far as housing is concerned? Signs indicate that this may be the case looming in the future. Could the drop in housing permits lead to a change in your business as a real estate agent? Are things looking better for the future? In this guide, we will walk through it. As a real estate agent, you may actually have more power than you think. Between January and February of 2017, permits issued to home builders fell 6.2 percent. While this is still higher by 4.4 percent than the permits issued in February of 2016, real estate agents are alarmed. Houses simply are not being built at the rate that real estate agents typically expect. With fewer houses being built, fewer may be sold. This means that in the coming months, we are likely to see the fewer homes completed than in recent months. Home buyers will not have as many options to choose from, and real estate agents will find themselves showing fewer newer homes. They may have to rely on older homes being put up for sale, which may alienate buyers who have very specific desires in mind. Of course, this is no real estate agent’s dream. The truth is that distribution of building permits is not equal. We are likely to see the biggest decrease in permits for the construction of large buildings meant to house at least five families. This means that condos, co-ops, and apartments are on the decline. Depending on where you work as a real estate agent, this could mean that your clients are facing higher costs associated with buying a home. This is a challenge that real estate agents are going to have to face head-on. Single-family homes may actually see decent numbers this year. The same applies to luxury homes. If you live in an area with recent developments in single-family neighborhoods, you may find that this slump appears to pass right on by. Could now be the time to develop a niche that will help you move forward in the world of real estate? Of course, building permits are not the same across the board in terms of location either. The Midwest is actually seeing a spike in home building. There was a slight increase in the southern United States as well, but certainly not as much. Different parts of the world experience a slump differently, especially as far as different types of houses are concerned. What does this tell us? For starters, it tells us that no two places are going to be exactly alike. A California real estate agent’s experience may be very different from the experience of a real estate professional in Indiana. A real estate agent who specializes in multi-family housing may have a different experience than an associate geared toward environmentally friendly housing. It may be that manufacturers are reporting higher priced raw materials, but prices may not be increasing as much as you think. The biggest detractor for buyers and sellers could be the rising inflation, which could decrease purchases across the country. Depending on what happens with the economy, buyers may ultimately decide to hold off until they have more confidence in the market. Of course, this means that there are consequences for real estate agents as well. Real estate professionals who spend hours showing homes and hosting open houses may find that buyers back out at the last moment or opt to wait another year or so to “see what happens” with pricing and availability. It can be easy to feel held back by all of this. The good news is that with a strong labor market, young people may be looking to buy houses sooner than you think. Recovery is possible if we find ways to boost opportunities for employment. While there may not be much you can do as a real estate agent, understanding the needs of the community can help you determine your approach. In spite of a real estate crunch, real estate agents may be able to take action and fight back. What Can Real Estate Agents Do in a Slump? There are still several ways you can sell homes when there is a shortage. Your first step is to sweeten the pot as much as possible. How can you do this? One way is to stay on top of trends and to stay actively involved in the real estate community by visiting open houses and keep track of which types of houses are selling at the moment. If single-family homes are still being built at a quick pace, focus your energy here. If you have noticed an increase in multi-family units available at great rates, emphasize that these units may not be available so often in the coming years. Flexibility may be the key to keeping clients on the line. What do you have to offer to your clients that other agents do not? When you can work together with your clients to find a deal that works out well for everybody, compromise is not so scary. As a mediator, it is often up to you to showcase compromise. 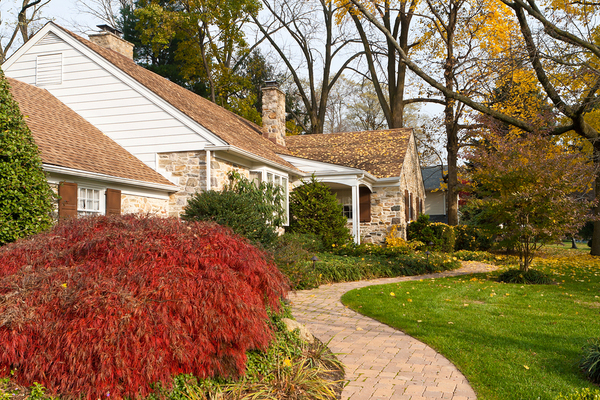 During this time, motivated sellers may be your best bet. Is the seller willing to cover closing costs? Will the seller throw in appliances? These are questions to ask when you have a buyer on the line. Motivated sellers are often those who have already moved out of the house and those who have already reduced the price. Noticing these signs early on could be the difference between making your sale and heading back out to search for leads. One way real estate agents can combat a slump is to stay educated. You already have to take continuing education courses to renew your license, but did you know that these courses can help you stay on top of your game as well? Contact us for more information about staying ahead of the pack with real estate education.